If you were a blogspot follower of mine, you’ll likely recognize this recipe. This dish will forever be on repeat in our household. It ranks in our top three favorites and it’s prepared at least once a month. Allow the beef to come to room temperature. (This takes about a hour and a half.) Once the beef is at room temp, slice against the grain into thin strips while using a sharp knife. If the strips become too long, cut them in half or even into thirds. Add in the beef strips and thoroughly coat them in the marinade. Cover the bowl with plastic wrap, set aside and allow to marinate for 30 minutes. Now is a good time to get your rice started. Trim your broccoli and set aside. In a small bowl whisk together 1/2 C low sodium soy sauce, brown sugar, minced garlic, flour, sherry. Set aside. Heat 2 TBSP of sesame oil in a wok over high heat. Add the brocolli and sauté in the oil for 4-5 minutes. Transfer the cooked broccoli to a dish and set aside. Turn the heat down to medium-high and add the remaining 1 TBSP of sesame oil to the wok. Add the beef and pour in half of the prepared soy sauce/brown sugar mixture on top. Sauté until the meat is no longer pink, this takes only a few minutes. 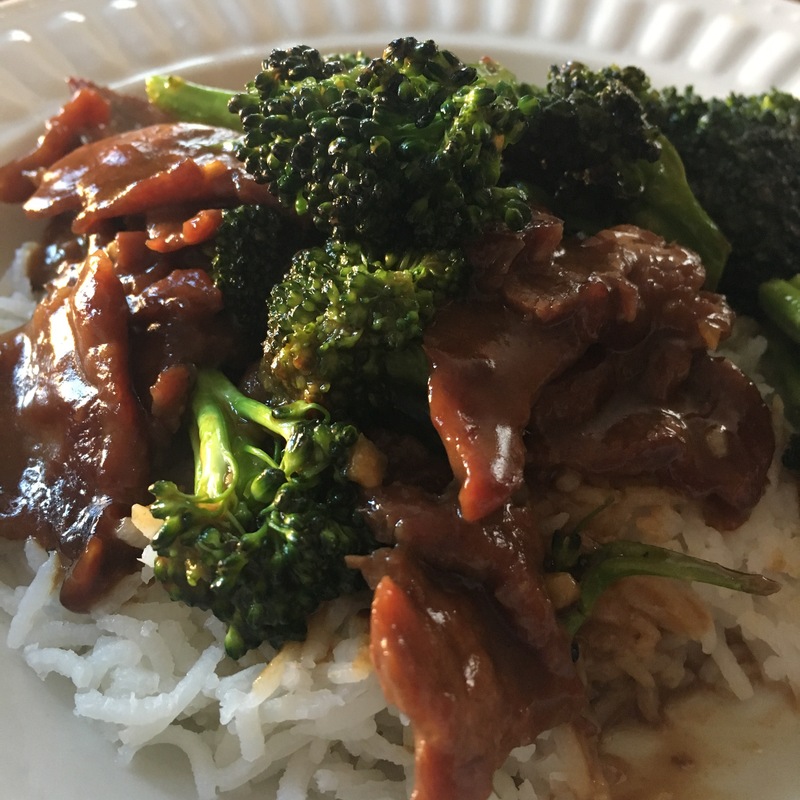 When the beef is finished add the broccoli back in along with the remainder of the soy sauce/brown sugar mixture.